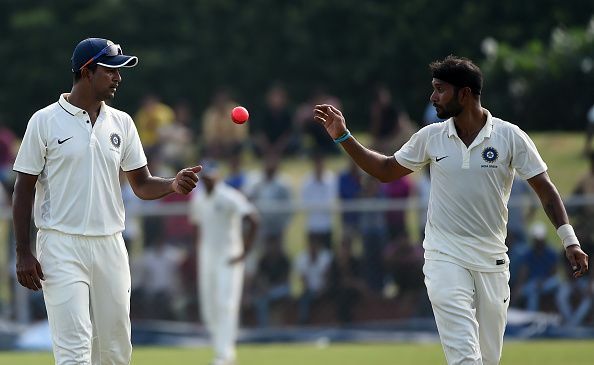 Former India pacer Ashok Dinda was cleared of any danger but advised to take two-day rest after getting hit on the head with a ball during a T20 practice match in Kolkata. Dinda was hit on the forehead while trying to pull off a catch off his own delivery by batsman Birender Vivek Singh. Ashok Dinda, at one time, was one of the fastest pacers in the Indian team and was always revered for the passion that he brought to the pitch. Once part of the Kolkata Knight Riders’ dugout, Dinda was looked upon because of his short stature but frightened batsmen with some decent pace and variations. However, the former India bowler was in the headlines for frightening reasons off late. Dinda was involved in an on-field incident which saw him get hit on the head with the ball during a T20 practice match in Kolkata. The Medinipur-born pacer was hit on the forehead while attempting a sharp caught-and-bowled chance at Eden Gardens on Monday. However, a Cricket Association of Bengal (CAB) Official revealed that the bowler was out of any serious danger but was also advised two-day rest. "Dinda looked fine as he completed the over before returning back to the dressing room. As a precautionary measure, he was taken for scans. There is nothing alarming but he has been advised two days of rest," a CAB official told PTI. The incident in question occurred when opposition batsman Birender Vivek Singh hit straight towards Dinda and the latter attempted the catch the ball on his follow through but it slipped from his hand and hit his forehead. The 2011 Mushtaq Ali champions Bengal will open their domestic T20 campaign against Mizoram in their group D fixture at the Barabati Stadium in Cuttack on February 21.